HOW DOES CCTV MAKE US UNSAFE? 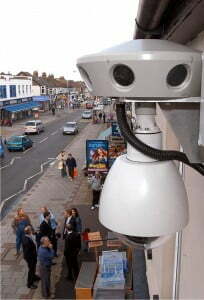 Community Security Service is a Major Step Change from “Town Centre CCTV” to Safe City Surveillance and Public Safety. 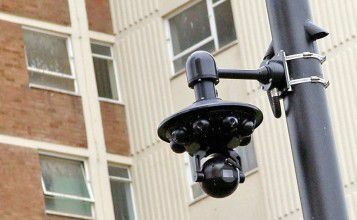 Ever since local authorities implemented Town Centre CCTV Schemes some 20 years ago, criminals have learned how easy it is to counter CCTV systems. Also, they move their crime and disorder to areas where there are no cameras, or where they know the many cameras are not being watched. Whilst this may be good news for some, it is unfair for the many business and residential communities that are still living and working in fear. Even worse for today’s security climate, and a major security risk for any city, the high costs of fighting crime continues to soar, but such neglected areas can be a source of high crime. At the start of the new millennium, a new Disruptive Technology was being invented to solve this problem. In 2002 a British innovator, Stuart Thompson, designed and patented this step change. In 2003 the UKTI (UK Trade and Investment) offered its largest financial Smart Award for his invention, and by 2004 the successes of its first installations were highly publicised. 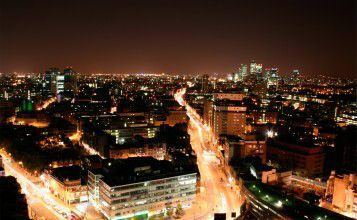 By 2007 the UK Government’s National CCTV Strategy Board published a report on the failures legacy CCTV systems and described the need for Viseum’s solution. Now, Stuart Thompson’s group of companies, trading as part of the Viseum UK Group, is well known at the forefront of the security industry for introducing cutting-edge CCTV Technologies to help Town Centre Regeneration Schemes deliver a stronger community security service. The technology breakthrough is an Intelligent Moving Camera which overcomes privacy issues, to automate surveillance and play a major role in optimising the key human element of citywide security. Laying to rest privacy concerns and delighting residents, the cameras’ built-in software means the recordings of people’s activity can be based on behaviour and location rather than how people look. If required, the camera protocols can only allow the viewing of; live images when a crime is actually underway, and recordings relevant to a particular incident. Photos of support from the UK’s CCTV Users Group who sit on the UK’s Commissioners Standards Group, Standards Board and Advisory Council. 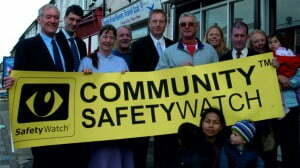 The UK’s CCTV Users Group has endorsed the Community SafetyWatch® concept with a quote from this organisation. The innovative service that these cameras provide is called Community SafetyWatch®. It uniquely encourages communities to share information with local authorities about their specific security problems. Successful pilot installations have seen the concept embraced by communities, police and local councils throughout the UK, with each initial camera installation spreading to neighbouring areas. As Stuart Thompson says, “Communities are already expected to share security issues with their local authorities, but our cameras give everyone (including the would-be criminals) the confidence that the police can act”, and “These successes show just how well this community security service multiplies in a viral way through word-of-mouth,” he adds. 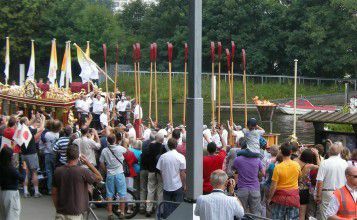 Pilot installations of the Community SafetyWatch® service are generally funded by one or more of the direct beneficiaries of this initiative, such as the community itself that the surveillance service will protect, or the local police and/or local council. BUT, needless to say with such a viral service Viseum is encouraging people to identify high crime and antisocial hotspots, where local authority crime reduction initiatives have failed. If you are part of a business or residential community in need of this community security service, then you would be a prime candidate for a free installation. Please share this page with your local authorities, colleagues and friends if you want your area to be considered for a free pilot installation, and apply in detail via email to cswuk@viseum.co.uk.